I am excited to reveal the cover for Destined for Shadows to you all today, and if you keep reading, there is a giveaway to go with the post! This is the first book in the Dark Destiny Series (a spin-off of the Sensor Series). Both this book and the second one will feature Cori and Bartol as the main characters. Originally, I’d planned to give them only one installment, but with their histories and obstacles to overcome, I felt there was a lot to tell that probably wouldn’t fit into just one novel. After I conducted a poll last spring among readers, I found everyone who responded agreed and thought Cori and Bartol needed at least two books. For those who celebrate, I hope you’ve had a wonderful Christmas. I spent time with family last night and ate a huge meal. Today, I’ve got more relatives to visit, but I wanted to let you all know about a giveaway opportunity I currently have running over on my Facebook fan group this week. It is for a huge prize package which includes a signed paperback copy of one of the first three Dragon’s Breath Series books (winner’s choice), a tote bag, fridge magnet, and hand-carved pewter dragon figurine. All you have to do is join my Facebook group HERE, and comment on the giveaway post after reading the instructions. The contest ends on New Year’s Eve, and the winner will be announced the following day. In other news, I’ll be doing a post later in the week recapping the year and letting you know what to expect from me for 2017. Those of you who are subscribed to my newsletter would have gotten most of the updates when I sent it out yesterday, but for everyone else, this will give you a thorough update on which books I’ll be releasing next and an approximate time frame on when they should become available. Be sure to check back! Today is the last day for the author interview series I’ve been doing since July, and I have author Yasmine Galenorn here with us to help end it with a bang! For those who aren’t familiar with her, she writes urban fantasy, paranormal romance, paranormal mystery, and nonfiction. Her series include: Whisper Hollow, Fury Unbound, The Otherworld, The Fly by Night, The Indigo Court, Chintz ‘n China, Bath and Body, and the Shamanic Witchcraft Series (nonfiction). The novel I will be highlighting in this post is Fury’s Magic (book 2 of the Fury Unbound Series), which just released about a week ago. You can find out more details about it at the end of the post. What is your beverage of choice when you first wake up? What happens if you can’t get it? Iced quad-shot sugar-free chocolate-peppermint coconut milk latte. Made on my beloved espresso machine named Fred. You do NOT want to see me without caffeine. It’s not a pretty sight. I’m not pleasant. And I get a mega headache. Do you have pets? If so, what kind and do they help you write your books? Okay, even I can’t get that out with a straight face. We are owned by four goobers. Calypso (Caly-Q for short), a tortoiseshell who has decided she is Mom’s protector against all who enter the house wearing shoes (she doesn’t like shoes). Caly took over as dominant kitty when our old beloved Meerclar died at 21 years old. Then we have Brighid (the cat, not the Goddess), who is the Manipulator. She’s a red girl who’s sweet, smart, and our prima-dona. Morgana (Morgan for short, or the Morganator/the Schmorganbord) is our 16½ lb. part Bengal who…she’s special. Morgan lives in Morgan’s world and it’s a happy little world and she’s the gentle giant of it. Then there’s Apple. Apple is not named after a goddess, you’ll notice. Apple is a boy. He’s a goofy happy tiny l’il boy black cat who loves sucking on his blanket, chasing Brighid, and generally making us smile. Before that, we were owned by four other goobers who lived very long and happy lives and whom we miss very much. If someone was willing to pay you a million dollars cash to run down the street naked, would you do it? Yeah. Wouldn’t be MY eyes I’d be scarring! Nekkid is a state of mind. You can go meandering around in a burlap sack and make people think you’re the classiest thing on earth if you have the right attitude. Name a few of the TV shows you like to watch. I’m a TV/movie/music junkie. LOVE media of all sorts. I watch a lot of Food Network—the more severe my food allergies get, the more vicarious it becomes. Favorites over the years: Buffy, Medium, Bones, Criminal Minds, Night Stalker, the first two seasons of Supernatural, Lost Girl, Witches of East End, Gilmore Girls, New Girl…and many more. What would be your weapon of choice if society crumbled and it was each man/woman for themself? One of my many daggers. (I collect blades). You can’t run out of bullets that way, a dagger can be used for many tasks, and it’s easier to both hide and use than a sword. I’ve thought this over a lot. Trust me. I haz much imagination. If you could witness any event in history, what would it be? I think I would want to go back and see how they built Stonehenge, and the pyramids. Remove the uncertainty for sure. Sitting beside the ocean, on a driftwood log, on a day that’s around 65 degrees with a very light wind, listening to the waves. Thanks so much for being here with us today, Yasmine. Love all your adorable cat pics, and I’m with you on which events in history I’d want to witness. I’d love to see how they managed to get the pyramids erected. New York Times, Publishers Weekly, and USA Today bestselling author Yasmine Galenorn writes urban fantasy, paranormal romance, fantasy and science fiction. In the past, she has written paranormal mysteries, and nonfiction metaphysical books. 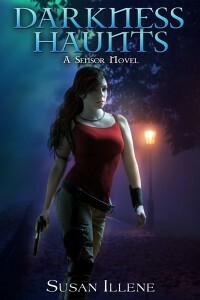 She is the 2011 Career Achievement Award Winner in Urban Fantasy, given by RT Magazine. She lives in Kirkland WA with her husband Samwise and their cats. Yasmine can be reached via her website at www.galenorn.com. 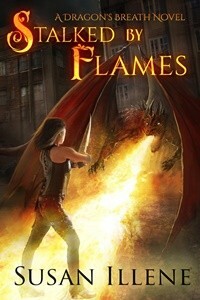 Yasmine has been generous enough to offer an ebook copy of Fury Rising to one lucky winner. Be sure to leave a comment by Tuesday, November 22nd for a chance to get the prize. A winner will be chosen and notified shortly after that by email. By day, I run the Crossroads Cleaning Company, and I also read fortunes and cast hexes at Dream Wardens, a magical consulting shop. But by night, I’m oath-bound to Hecate, Goddess of the Crossroads. Hecate charged me from birth with the task of hunting down Abominations who come in off the World Tree and sending them back to Pandoriam. On a routine cleaning job in Portside—a boat full of ghosts need their joyride cut short—Tam and I run afoul of the Devani. The ruthless soldiers of Elysium capture him and send him out to the Tremble, a place of wild, chaotic madness. Jason and I devise a plan to sneak in and help Tam escape. But Lyon and the Order of the Black Mist reappear, and I’m on their hit list. Lyon opens a door to the realm of Tartarus and the walking dead are pouring into the city. Now, we must wade through both the Devani the dead to save Tam. And we must close the portal on the World Tree before Lyon manages to wake the Elder Gods of Chaos.